Freytag & Berndt, located in Austria, is one of the oldest publishers of maps and atlases still in the market today. F&B publishes detailed maps (walking and cycling maps) as well as standard road maps, regional maps and city plans. The road and regional maps cover mainly European countries and regions but in recent years have expanded the range to offer an ever increasing number of country maps of the other continents. A dedicated series of walking maps covers the whole of Austria and also includes the Dolomites and regions in Germany, The Czech Republic, Spain, Hungary and Slovakia. Freytag and Berndt's series of city plans cover most of the principal cities and urbanized areas of Europe. 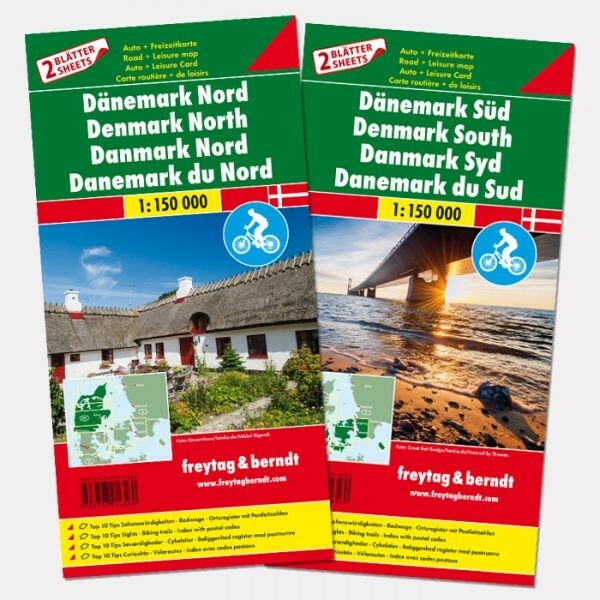 2 sheets and a leisure guide with the 10 most interesting sights (Top 10 Tips) or destinations of considerable interest are the central elements of the new road map sets. Moreover, city maps and information about cycling routes complement these all-in-one packages. Top 10 Tips, with many biking trails! 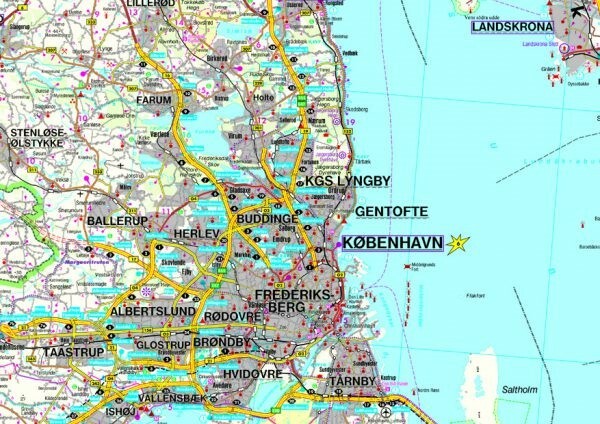 Details: 2 sheets, Top 10 Tips sights, Biking trails, Index with postal codes; City maps of Aarhus, Aalborg, Odense, Copenhagen, Helsingborg and Malmö. with destinations of considerable interest! Details: 2 sheets, Destinations of considerable interest, Cycling + Hike, Citymap of Palma, Index with GPS, Multilingual leisure guide (Languages: German, English, Spanish), double-sided. Languages: Catalan, Spanish, German, English, French, Italian. 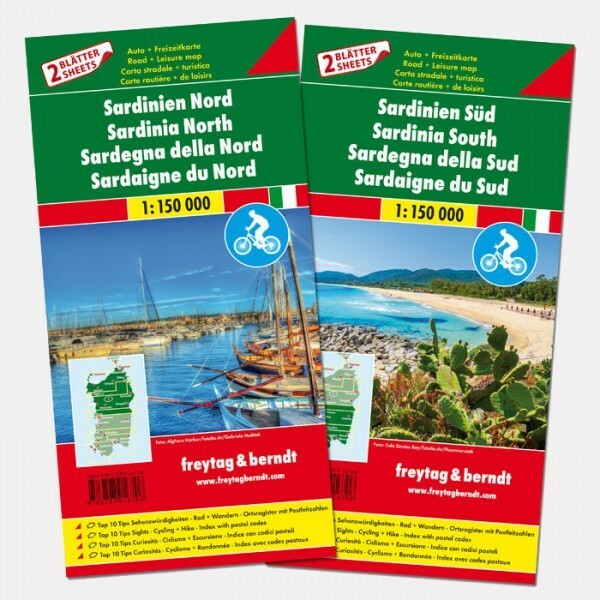 Details: 2 sheets, Top 10 Tips sights, Cycling + Hike, Index with postal codes, double-sided; City maps of Sassari, Nuoro, Olbia, Alghero, Oristano and Cagliari; Multilingual leisure guide (Languages: German, English, French, Italian). Languages: German, English, French, Italian, Spanish, Dutch, Slovakian, Czech, Hungarian, Polish. 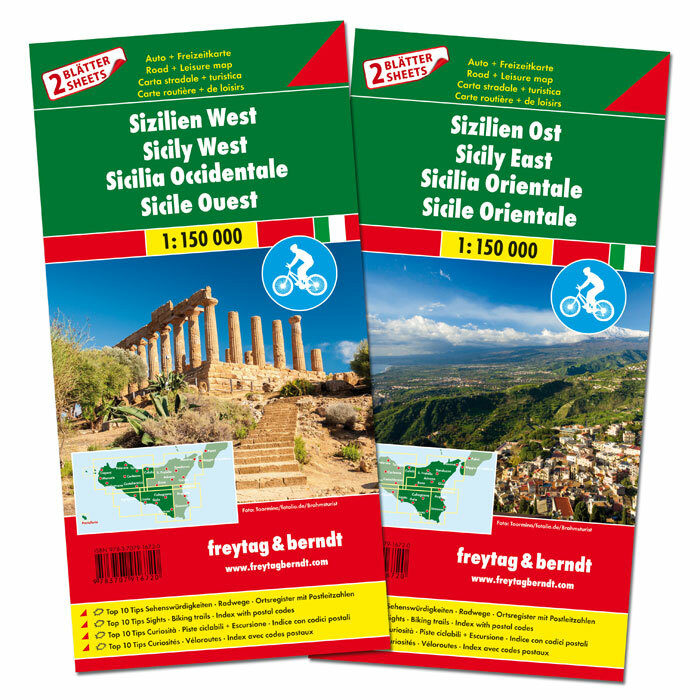 Details: 2 sheets, Top 10 Tips sights, Biking trails, Index with postal codes, double-sided; City maps of, Siracusa, Catania und Messina; Multilingual leisure guide (Languages: German, English, French, Italian).